Camping safaris Tanzania is outdoor travel with exciting happiness holiday. Book camping safari holiday and become immersed in the East African wilderness. Camping safari in the bush of Tanzania is the favorite private African safari experience in wildlife game parks. Tented canvas is also used as accommodation during climbing Kilimanjaro. Kilimanjaro routes which use tents are Machame, Rongai,Lemosho, Umbwe and Northern circuit. Trekking Kilimanjaro through Machame route, Lemosho route and Rongai route is recommended. There is Private Camping Safari in Tanzania and group budget camping safari in Tanzania. 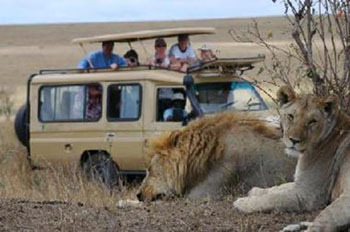 Booking Authentic Tanzania Safaris you can get tailor make your Tanzania Safari in Africa. Tented canvas safari is outdoor wildlife safari and alternative to famous Lodge safaris in Africa. Wildlife safari Tanzania lead you to travel on rough adventurous roads, on comfort 4WD safari car pass tiny rural settlements and see fascinating landscapes and abundant wildlife. 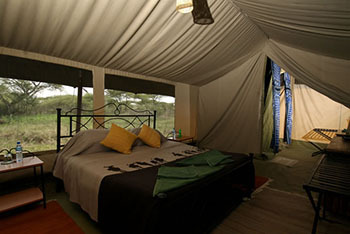 Camping safari is adventure safari whereby accommodation is on tented canvas tents. 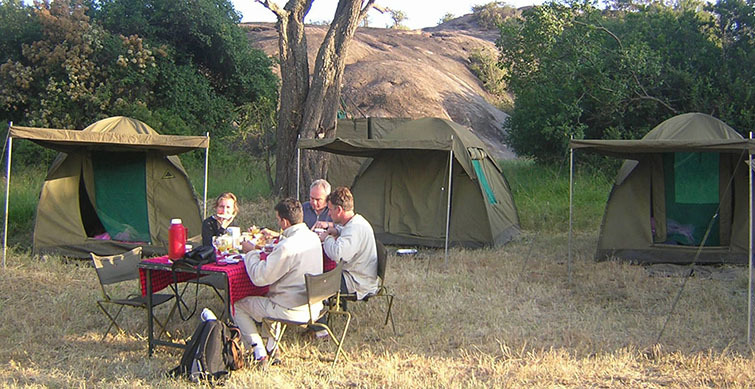 Adventure camping safaris offer all comfort available in western Hotels/Lodges and are also perfect for nature lovers. Budget Camping safari is ideal for those who are looking for a break from civilization and its comforts. Northern circuit safaris include wildlife destinations, history, game parks, culture and sightseeing places such as Meserani Snake park, Arusha cultural heritage, tanzanite stores, Lake Manyara National park, Tarangire, Serengeti, Lake Natron, Ngorongoro crater, Lake Eyasi and Olduvai Gorge. Travel tips helps Tourists become aware of where they are going.